The first Cape Town GeoRabble event, sponsored by AAM Group, took place on Wednesday evening at the Mowbray Golf Club in Cape Town. Approximately 20 people from various industry spheres including government, academia, engineering, geo consulting, software development and internet start-ups attended the night. The nights presenters in action. We started at 18h00 with a short welcome and all round introductions, followed by the first presentation delivered by Chris Tanner, titled 3D Modelling. He provided the audience with an amazing bird’s eye view on the level of detail and accuracy that can be achieved in 3D models created by combining aerial photography and LiDAR data. This was followed by another 3D orientated topic titled, Low-cost 3D mapping of an urban environment using Structure from Motion , presented by Sebastien Wenger. Mike Steyn entertained the audience with a summarised view into the past, current and future development in GIS through a presentation topic titled; The Moore’s affect in GIS. This thought provoking presentation highlighted the rapid growth in technology in general and how the geo world is following this trend. The last formal presentation was delivered by Chlodwik Rossouw who asked the question, Is GIS a profession or a tool? He highlighted the different uses of geo tools, technologies & skills across a variety of industry sectors and how industry specific knowledge is affecting our industry. Both Mike and his topics urged people to keep an inclusive and not exclusive mind set and therefore stay aware of what is happening outside of their own geo realm and to keep moving with technological and industry advances. The night was concluded with quite a few open discussions on how we can build on this first GeoRabble Cape Town event in order for it to appeal to the wider geo community. This successful first night was concluded by more general discussions, networking, food and drink. 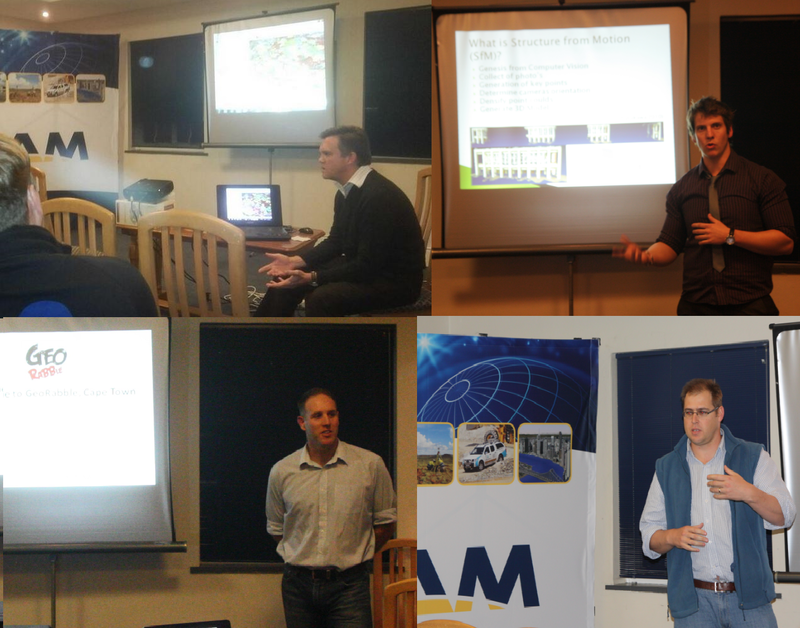 Thank you greatly for all who attended, plus AAM Group for sponsoring the event! … until next time. Previous PostInaugural African GeoRabble – Wrap-upNext PostGeoRabble Sydney #7 – Call for Speakers!